Hello and welcome to Wednesday, day THREE of our new release hop! Thank you for joining us and supporting us with your delightful and exciting feedback over the last few days! I wanted my little bunny to look like she was sitting on a spot of grass. I used the "l" die from our Jingle Joy set to cut a piece of felt (green grass) for her to sit on and of course I added a couple of white felt clouds to adorn her sky! I just love this Springy feel of yellow and purple too. Let me just stop for a minute and tell you how easy and fun these images are to color. A coloring/Copic marker expert I am NOT. I used some quick "flicks" or strokes to add color for fur and a combo of markers to color her bow and the same "flicks" technique for her ears and that was pretty much it. It took me less than 5 minutes to do and overall I think the results are pretty darn okay!! So if you're new to coloring I think our 2 Cute images are an easy, fun and CUTE way to get your feet wet. Not into coloring? Seriously, paper piecing is loads of fun and gives you just as cool an effect! So it's true that these sets really are for all and any skill level! 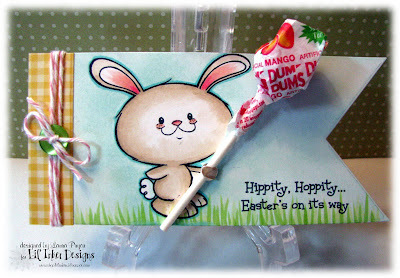 Ok, one more project for you today....I made this fun little lollipop holder! 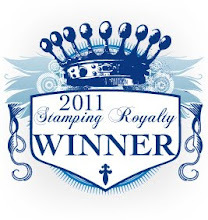 I started by carefully inking my image so as to avoid the actual lollipop part of the stamp knowing that wanted to add a real one and then stamped and colored my image. Then, I used our oversized sentiment flag from our Flags & Tags set to cut out the tag and because this die has the clear backer I could lay the die over my bunny and line it up and actually see through the die so I could place the bunny on the flag wherever I wanted him! Yet another reason every paper crafter should own this die, LOL!! After sponging the sky and adding in some grass with my Copics (you guessed it...more "flicks")I used a glue dot to stick my pop on the tag exactly where I wanted it and added in a little strip of paper for a hand?...paw? as if he's holding the pop for you! The rest is pretty easy...a strip of decorative paper, some twine and of course a sentiment! Here I used our Easter sentiment. I thought this would be a really fun way to give a sweet little Easter treat. I hope you like it! Ok, so...LOVE, right? 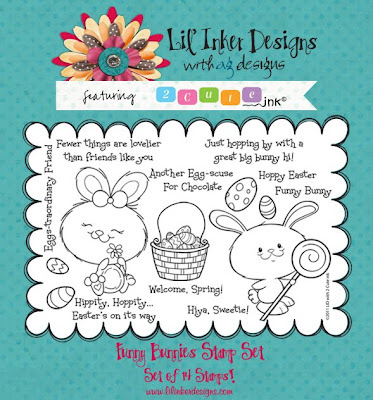 A total must have set for bunny lovers, colorers, paper piecers and stamp lovers in general for making sweet Spring cards, Easter greetings or just for everday like saying hi! 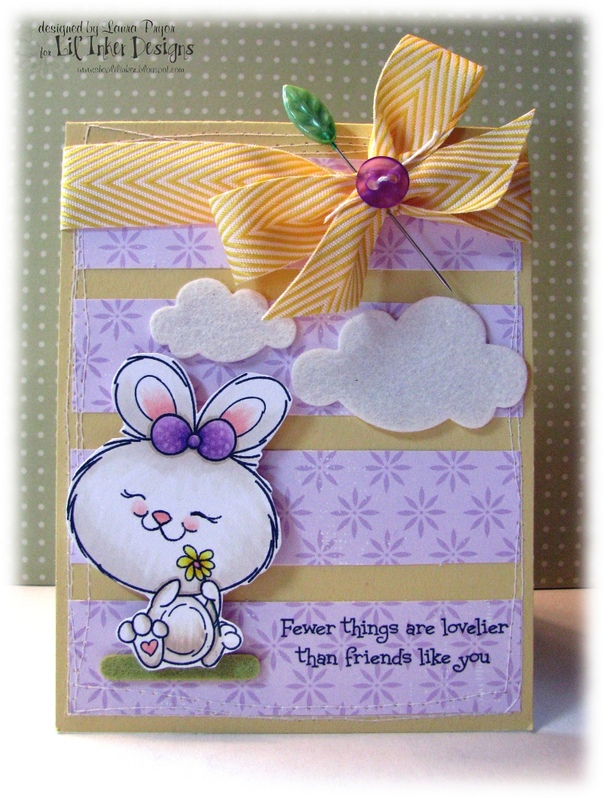 Remember as you hop along to view our bunny cards for today remember to leave comments along the way. We are going to pick two winners from this week's comments. One will receive a $10 store credit and the other will win our brand new Funny Bunnies set! I hope you're enjoying this week as much as we are! Both sets that we've previewed this week are currently available to take home today from our LID Store! 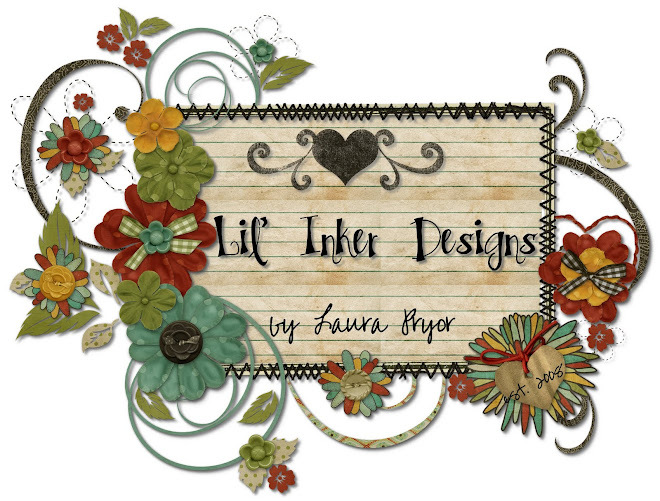 Now, I'm going to send you on your way to the FABBY Alicia Thelin's blog to see what crafty goodness she's up to today! 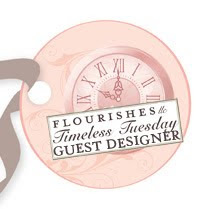 Enjoy, have fun and thanks for stopping by today!! OH! CA-UTE! I like that you gave a simple tip for those of us not into colouring. So darling! Adorable bunnies and cute little scenes on your projects. Squeeeling here right now, sooooo cute! Love this set, especially the bunny that holds the lollypop!! Oh my! These bunnies are so freakin' cute!